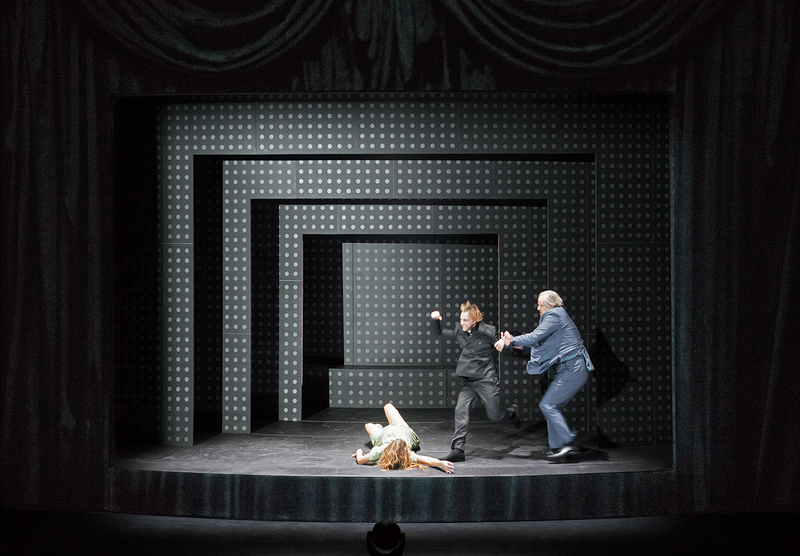 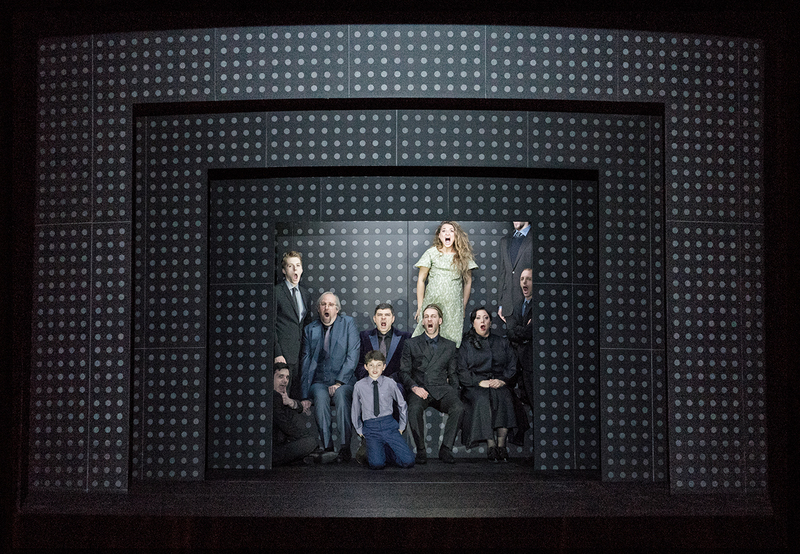 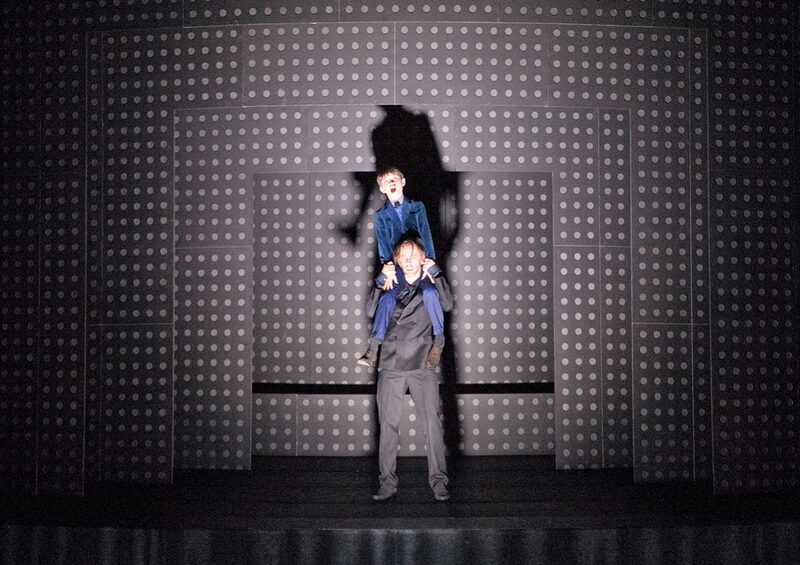 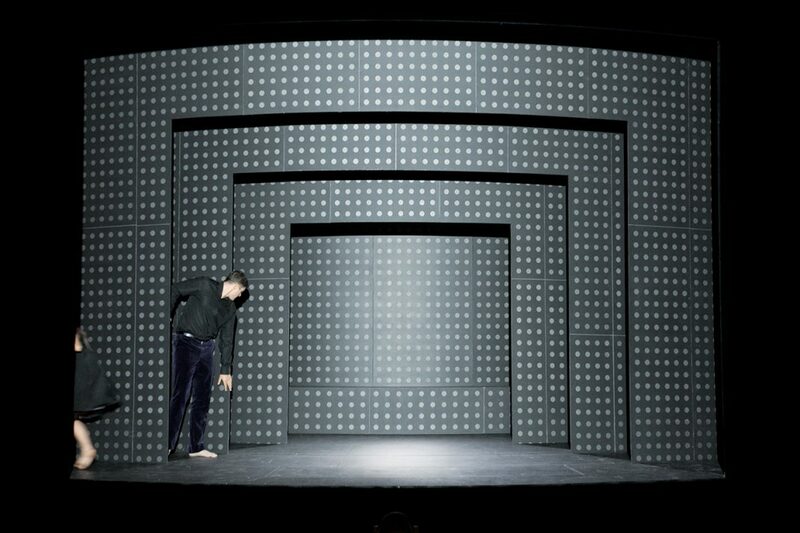 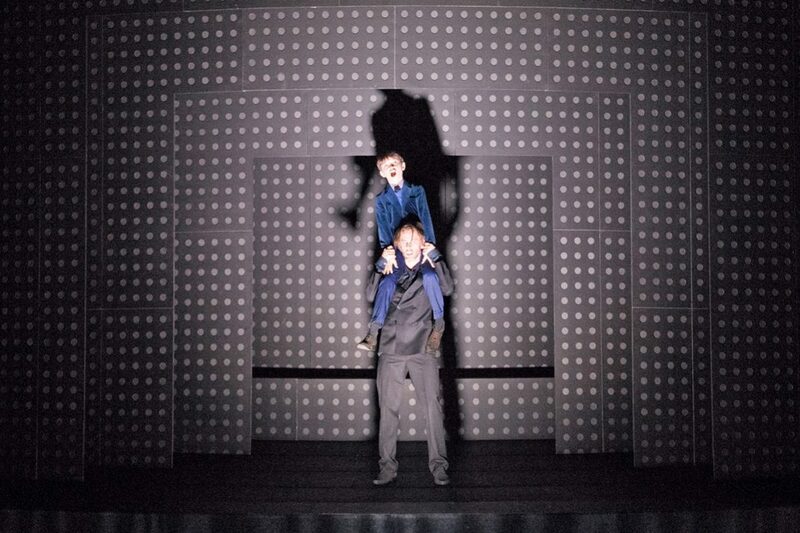 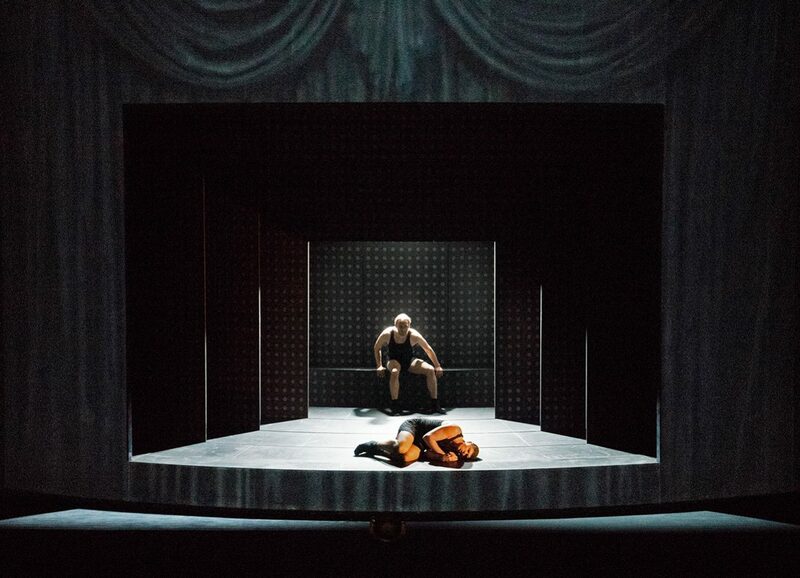 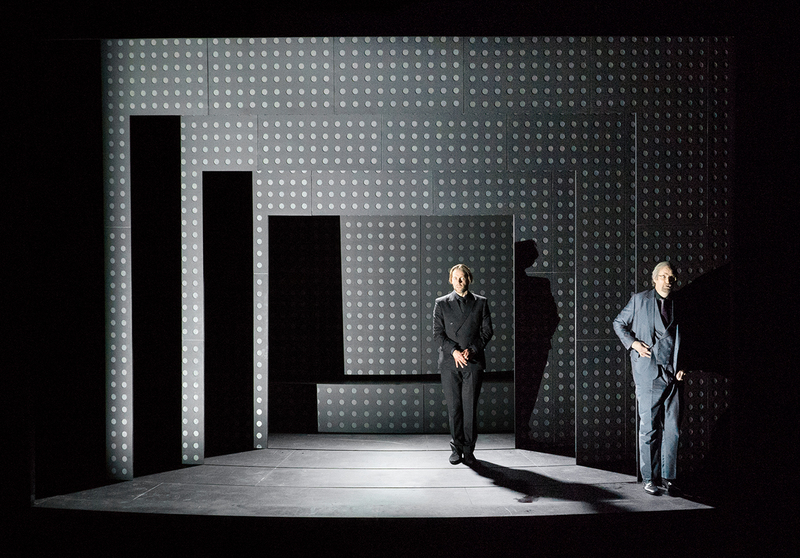 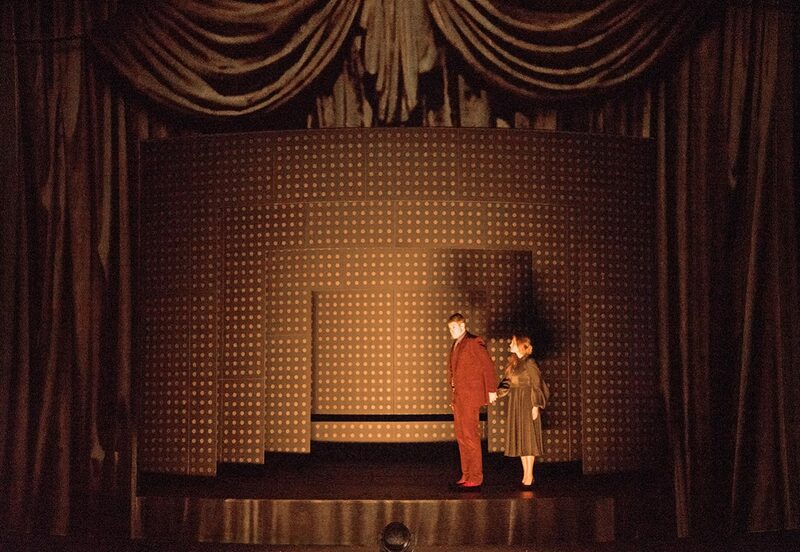 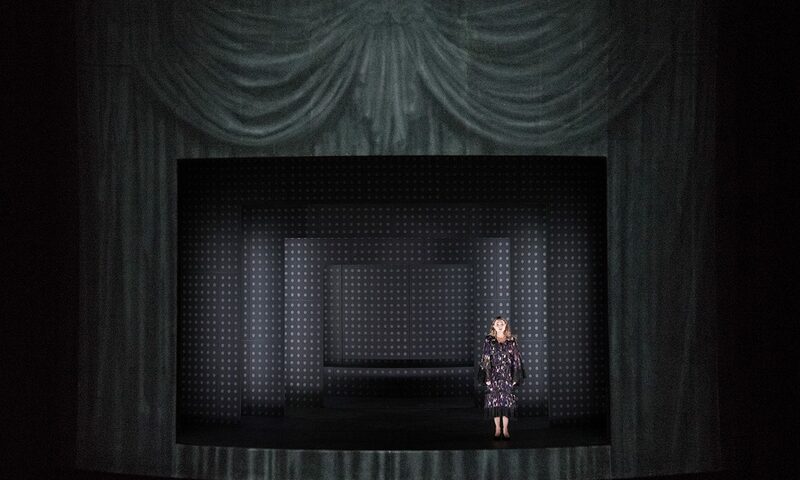 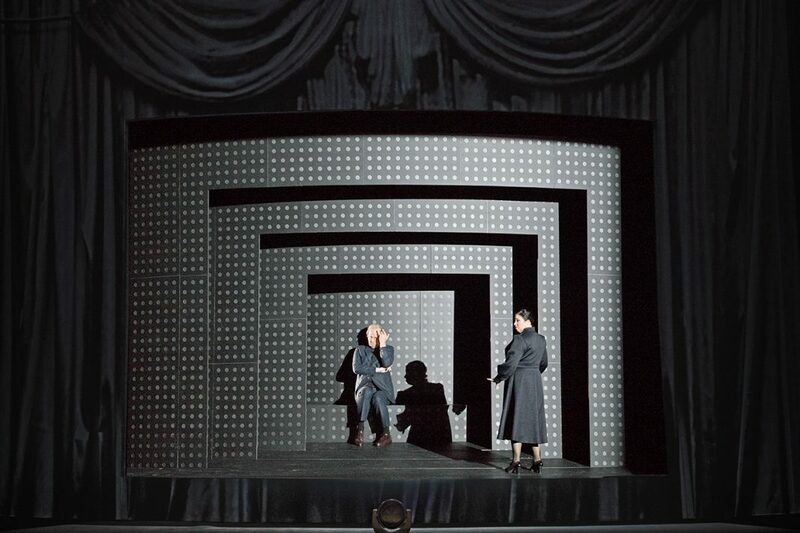 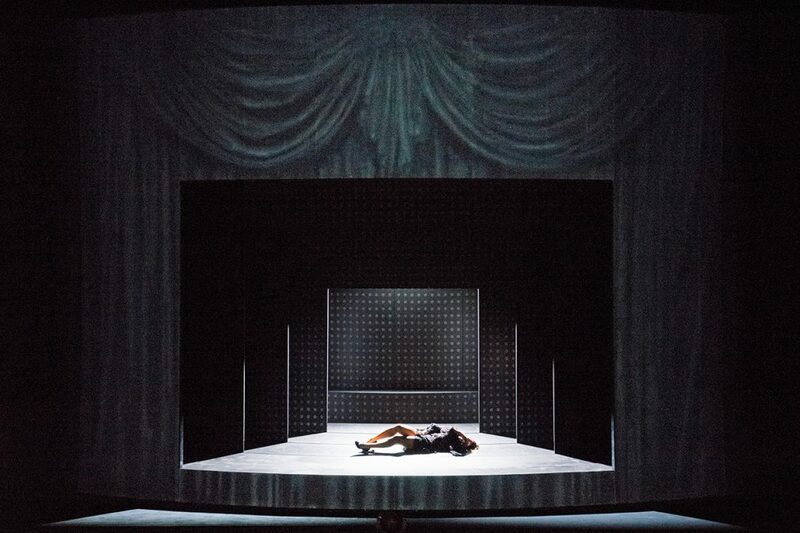 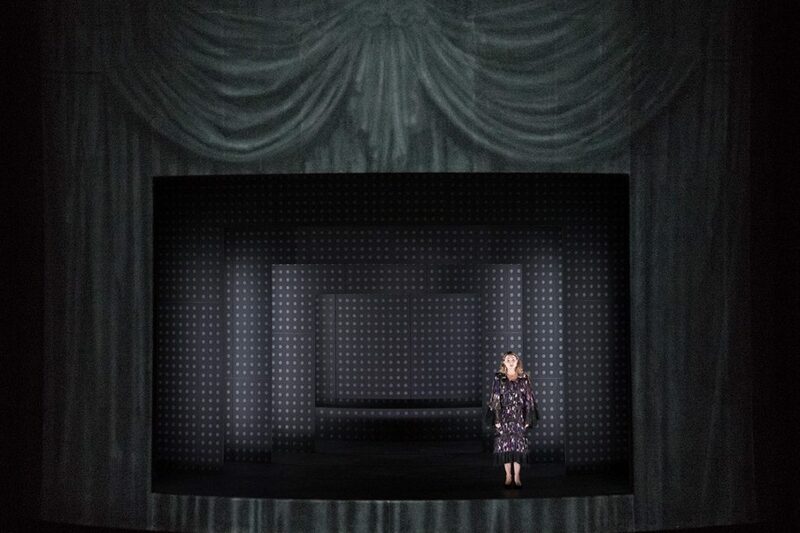 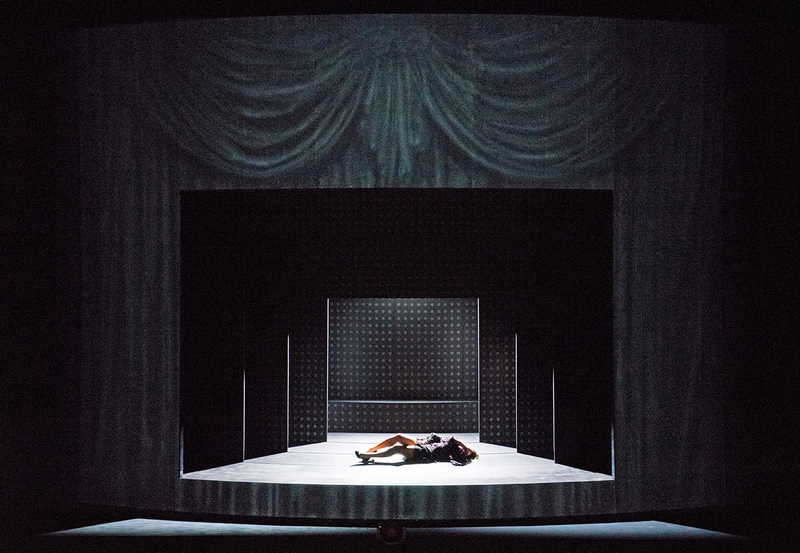 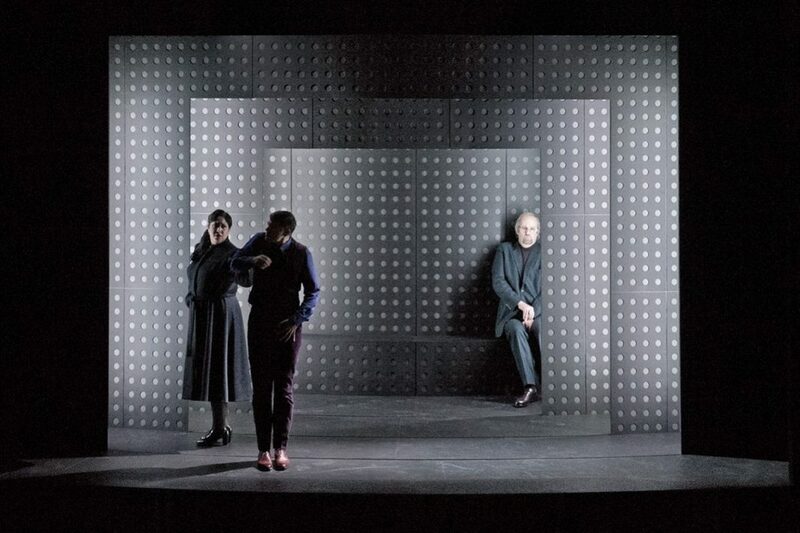 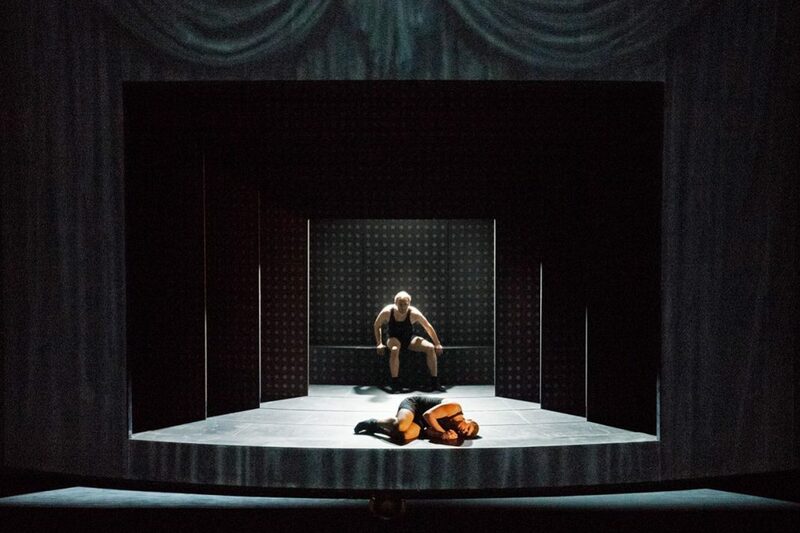 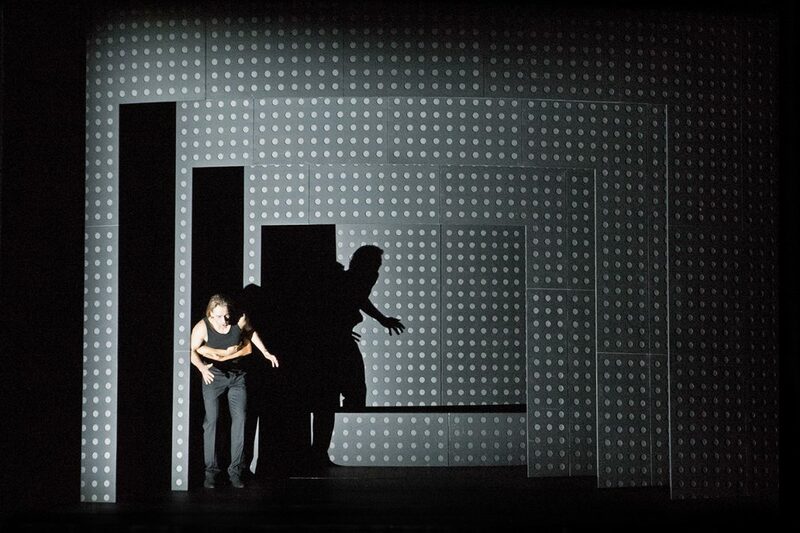 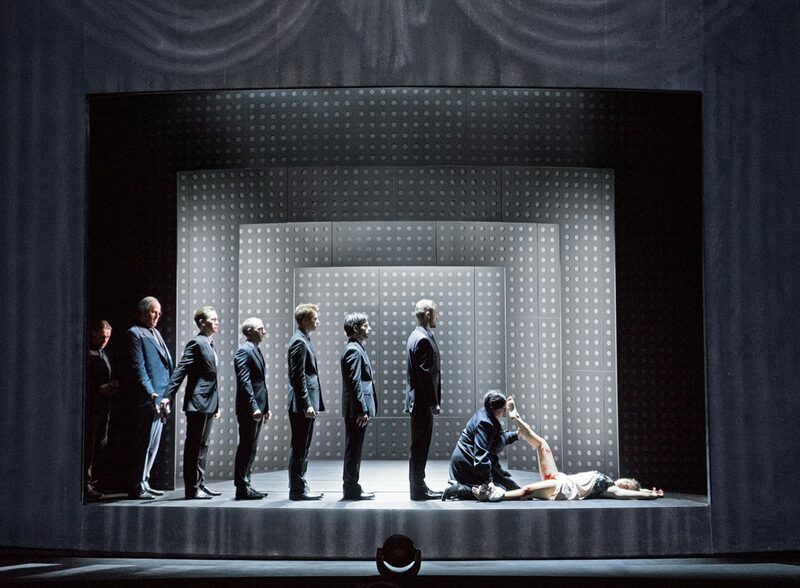 For this production of Debussy’s Pelléas et Mélisande that world-premiered in Berlin last 15 October, Klaus Grünberg and co-designer Anne Kuhn conceived a real theatrical machine for the whole set. 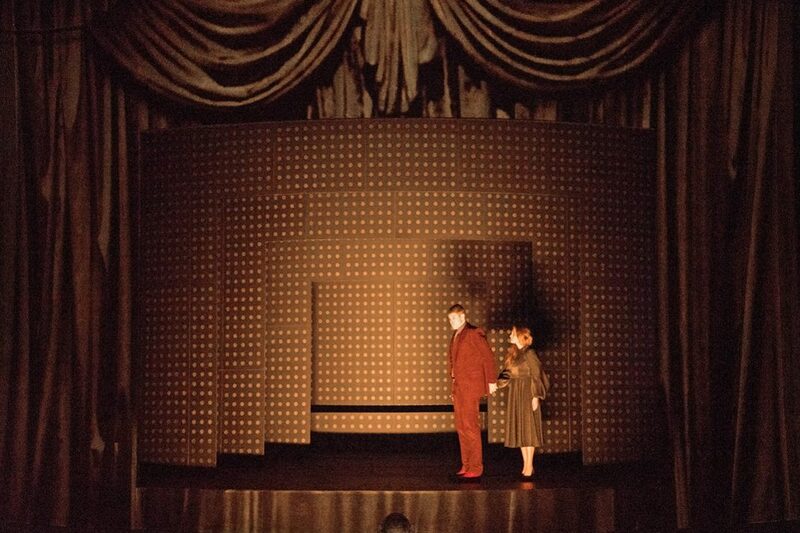 The scene appears as an exterior shell, a façade of draped velvet, from which a small opening has been cut out. 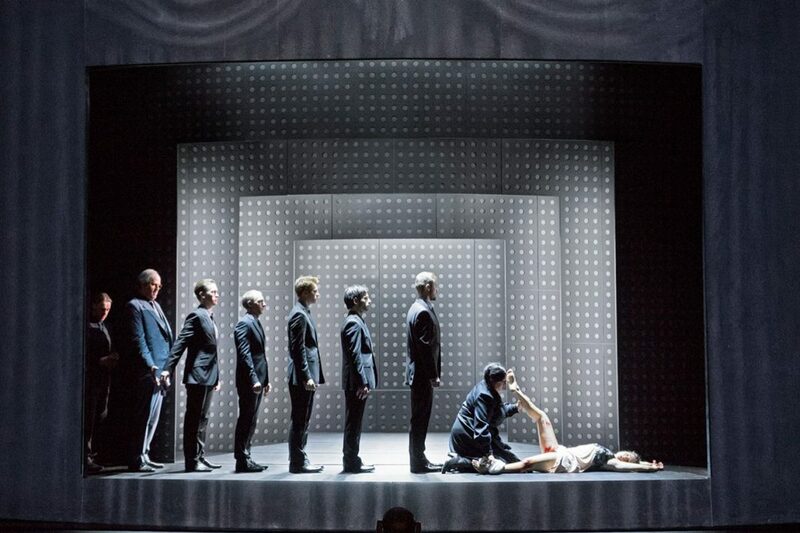 The opening reveals an internal mechanism in which the characters are claustrophobically trapped and inexorably merge in and out of the scene moved by a revolving stage. 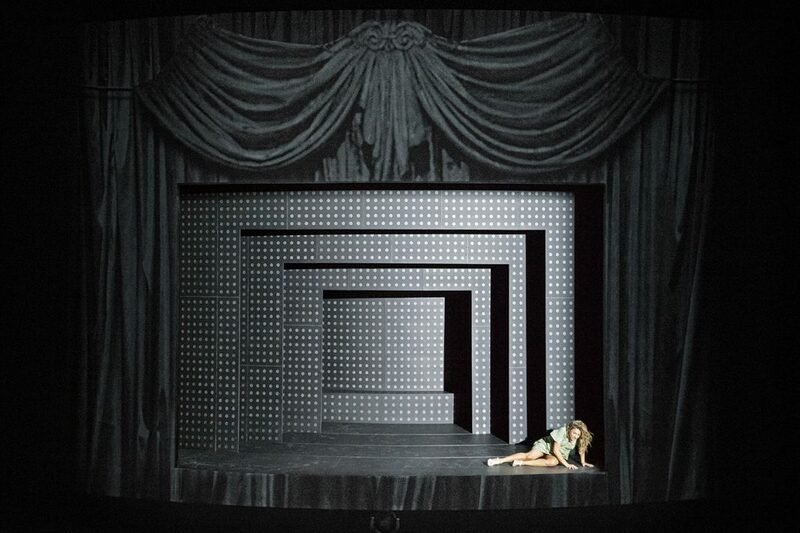 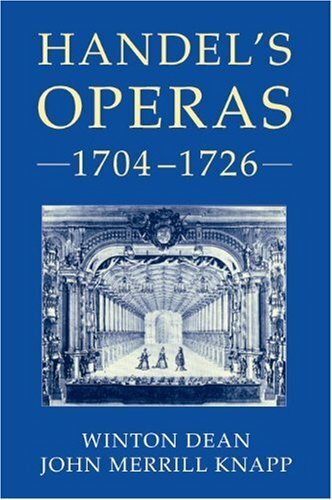 In plan, the stage is made of a series of concentric circular crowns – or rings – revolving in opposite directions, of which we see only a sector. The draped façade is an elaborate painting on velvet, occasionally combined with a projection. 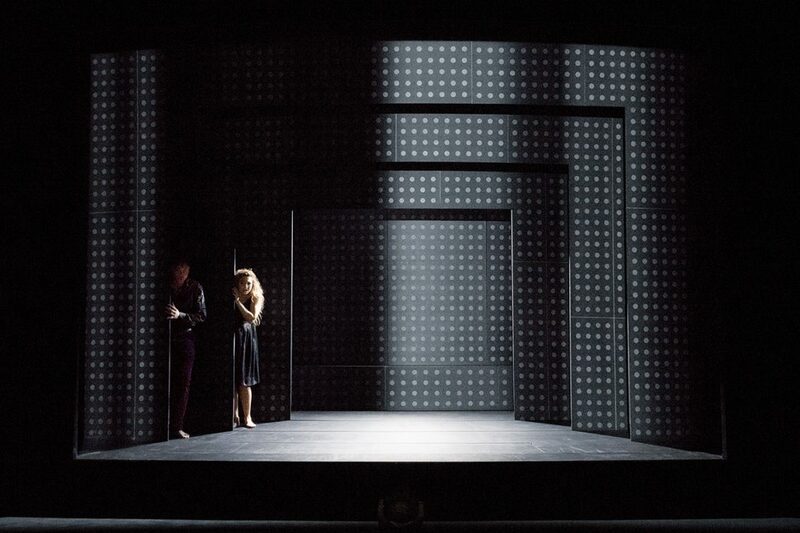 In contrast to this, the interior walls, reminding of perforated metal plates, convey an idea of mechanics, while their perspective scaling makes the figures appear bigger than they are, focusing the spectator’s attention on the individuals. 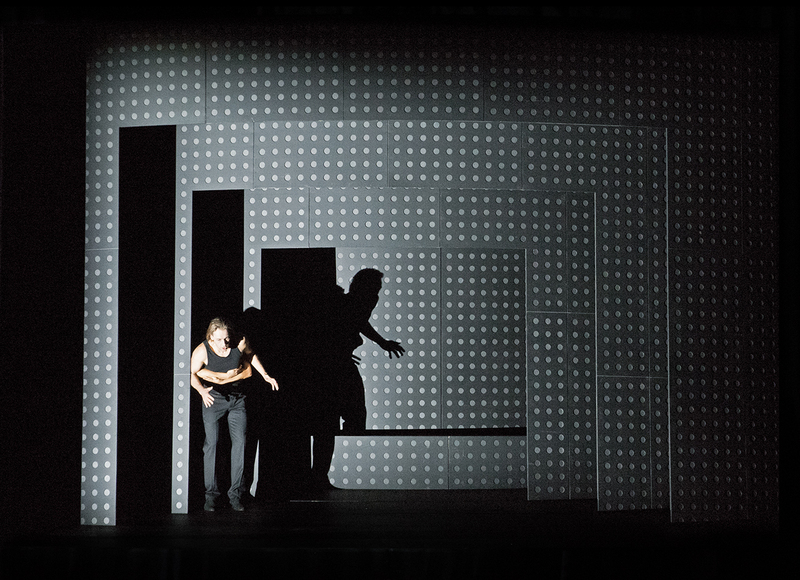 Scenography Today has spoken to Klaus Grünberg to know more about the set. 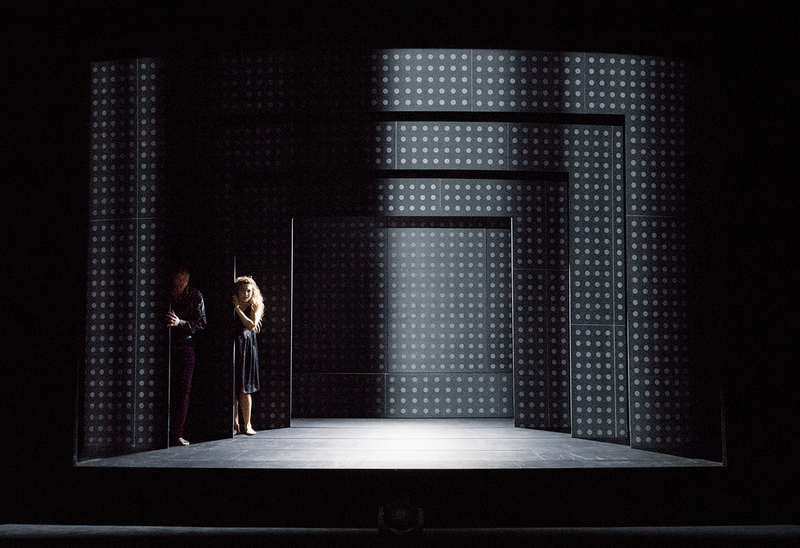 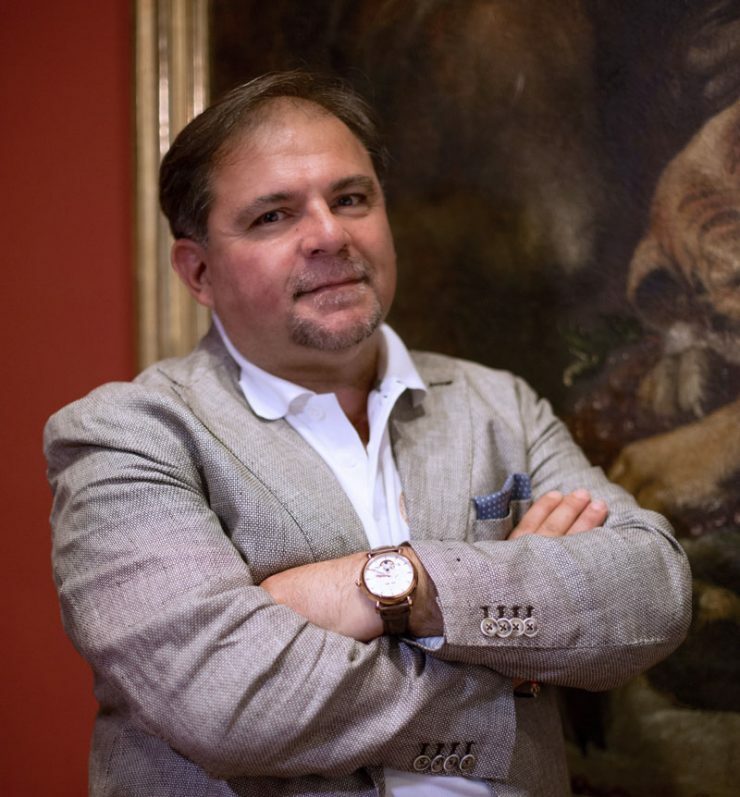 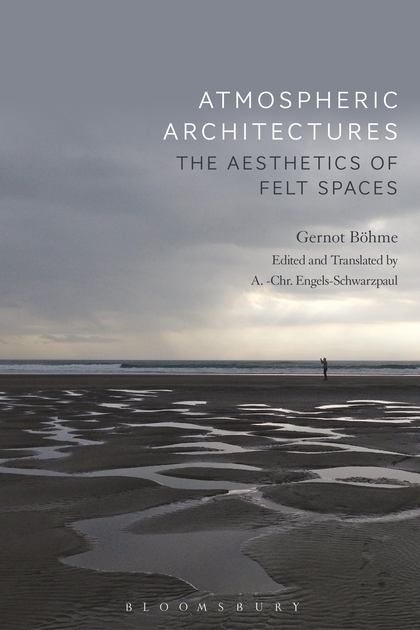 In Grünberg’s work process, in fact, the set is designed in complete autonomy until he and his co-designer come to a final result. 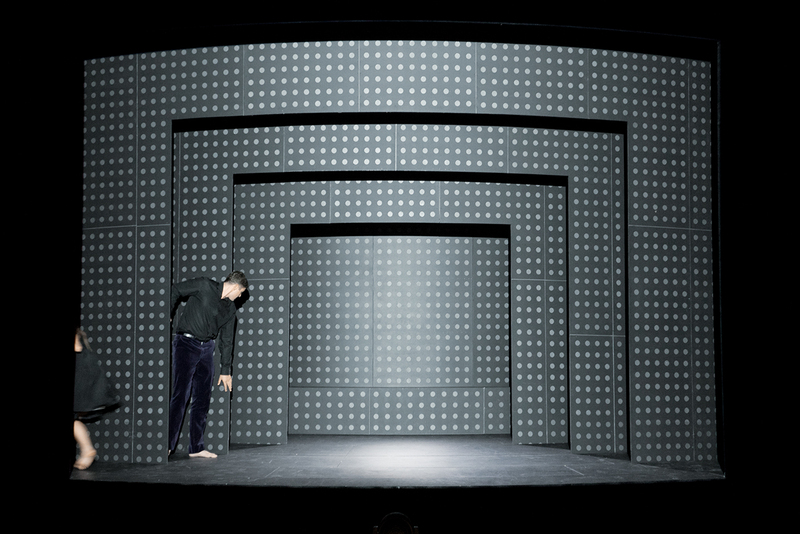 The final design is then presented to the rest of the team entering a dialogue with music and direction as a strong partner.